Delicate dangle earrings with a patina verdigris leaf charm. 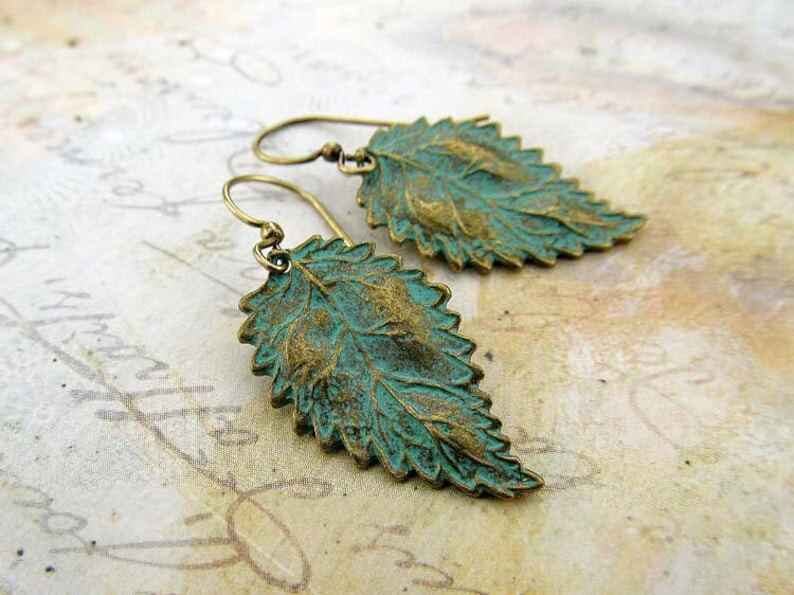 Small zinc alloy leaf charms dangle from the ear wire you choose, either kidney or regular. See pictures for example. 1 1/2 inches regular earwire (from top of ear wire to bottom of charm). Cute earrings- looks exactly as shown and shipping was very fast! Quick delivery and exactly what I expected. Lovely earrings! Gorgeous! Shipped quickly and was just what I wanted.